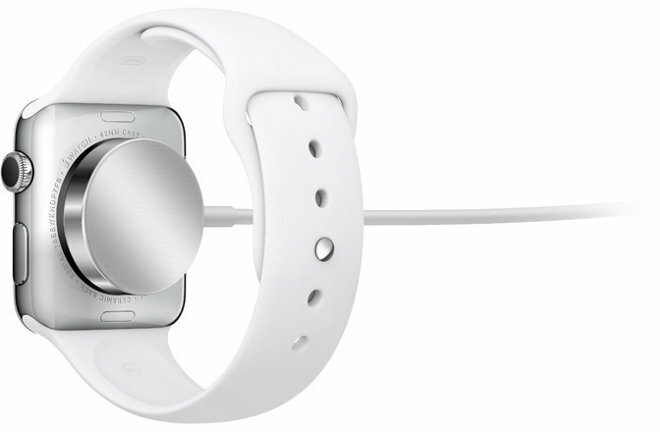 In tandem with Friday's launch of the Apple Watch, Apple updated its website with details on the battery life of the device, and simultaneously updated its online store to make shopping for Watch bands easier to navigate. On the Service and Recycling section of the company's Batteries page, Apple states that the Watch should hold 80 percent of its original capacity at 1,000 "complete" charge cycles —meaning charging from empty to full. Typically, batteries last longer if they're only partially depleted before being recharged. That performance is identical to iPads and MacBooks, though those devices have much greater starting capacities. By comparison, an iPhone is designed to retain 80 percent capacity at about 500 charge cycles, and iPods are expected to drop to that level around the 400-cycle mark. A defective battery can be replaced for free under warranty coverage, including AppleCare+, but a swap otherwise costs $99 in the U.S., plus $7 in shipping. The Online Apple Store now breaks bands into separate section. Previously bands were treated like any other accessory, which made finding the right type and size difficult. 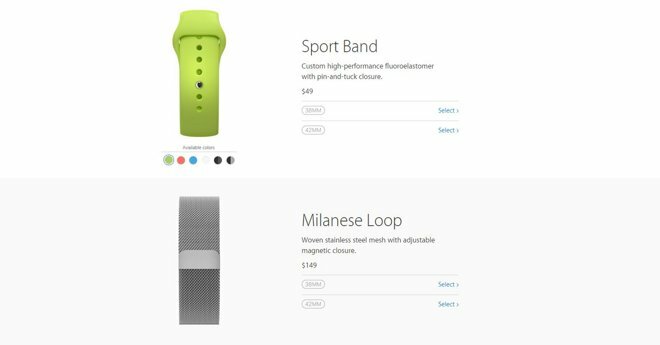 The new band page is organized vertically, and split into sections according to type, such as the Sport band or the Milanese loop. Before selecting whether they have a 38mm or 42mm Watch, shoppers can choose which color they want, if options are available.